Gil Hibben Elite Collection 3 Piece Knife Set and Display | BUDK.com - Knives & Swords At The Lowest Prices! The first of Gil Hibben's annual fantasy knives series, the Elite Collection One is highly collectible. Each knife features a unique laser-etch on the blade to preserve this edition's collectibility. Beginning with the Silver Shadow (1990), Double Shadow (1991) and Highlander Bowie (1992), this collection is strictly limited to 1,000 sets. 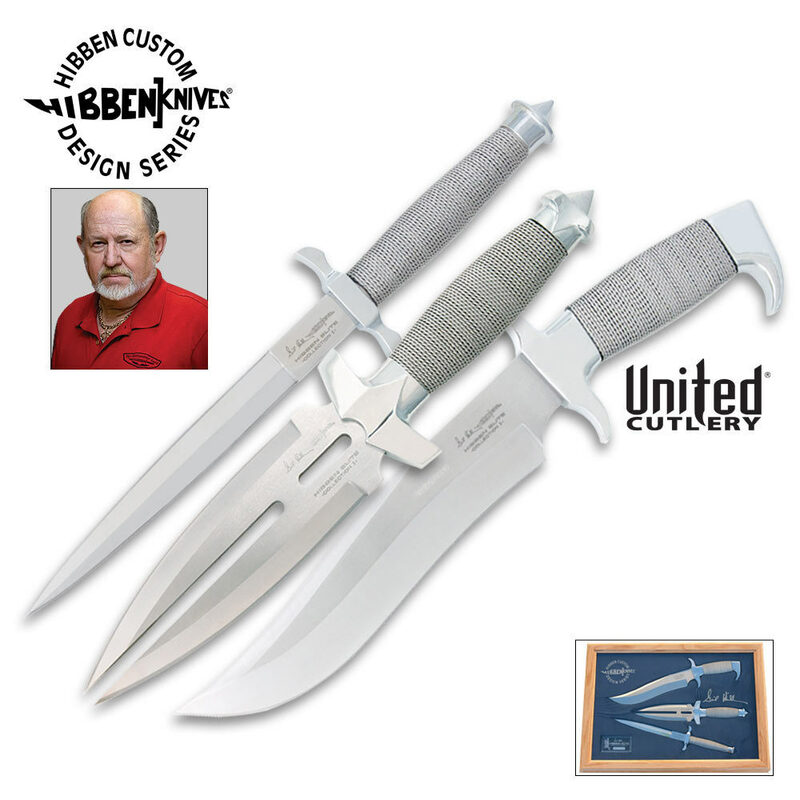 These knives are individually serialized 0001 to 1000, with a certificate of authenticity personally autographed by Gil Hibben himself. Each blade is constructed of mirror polished 420 J2 stainless steel. The handles are solid cast metal with a polished chrome finish and stainless steel twisted wire-wrapped grips. The solid American oak and glass presentation case is embellished with the official Hibben seal.